Someone asked me last week about my favorite tree images—not an unfair question, because I now ask people that same thing all the time. When I began to research tree photographs in the boxes of the collection for the new exhibition In Focus: The Tree, each image I selected spoke to me in a special way. At the time, I wasn’t thinking at all of an exhibition, I was simply conducting research to see how trees and photographers dialogued through the centuries—a very universal but also extremely personal dialogue between nature and humans. Then, when it was decided that we would create a book and an exhibition from this work, my co-curator Anne Lyden, associate curator in the Department of Photographs at the Getty Museum, and I chose to emphasize how each photograph was able to convey a message. The images had to be expressions of beauty, strength, fragility, grace, grandeur, strangeness, utility, and so on. The relationship between the individual tree and the scene or the event depicted is what’s interesting to see and to understand. Each photo tells a unique story. Trees are sometimes so old; they have seen so much. Trees don’t wait for the photographer to be beautiful or expressive, they just are. Ranging from 19th-century works to contemporary pieces, the prints in the show are by both recognized and lesser-known artists. Among the photographers whose work is on view are Robert Adams, Eugène Atget, Simryn Gill, Gustave Le Gray, Myoung Ho Lee, Eliot Porter, Alfred Stieglitz, and William Henry Fox Talbot. The most interesting thing in the exhibition to me is how all of the images do relate to each other—they have a dialogue. Photographers like trees because, very often, they make portraits of themselves while taking these pictures. But not always, of course! Sometimes it’s just a way of finding inspiration and beauty in nature. 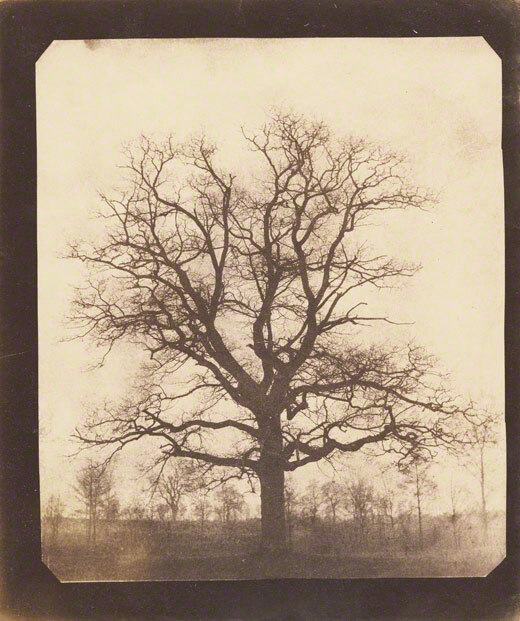 Some photographers are well known for making pictures of trees, like Carleton Watkins, Atget, or Adams. But sometimes the picture is an exception to their body of work, as with Man Ray, André Kertész, Dorothea Lange, or Diane Arbus. It seems to me these exceptions mean something very personal: perhaps the tree embodies a feeling very present in the mind of the photographer, and somehow resonates with what they as a human are going through in their life. I like to think so. So, which is my favorite tree image? That’s very difficult for me to answer, since all of these graceful trees have become beloved. A number of them couldn’t even find place in the show due to space, like a lovely Garry Winogrand image of a tree and dog in snow (Central Park, New York City from 1968) that we chose to include in the book but not in the exhibition. 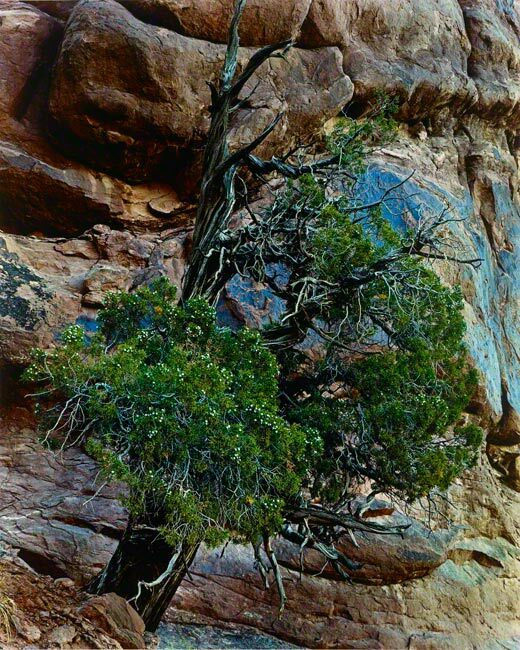 For the moment, my favorite image when I enter the gallery is Eliot Porter’s Juniper Tree, Arches National Monument, Utah, with its dynamic shape, and the bright green color against the deep blue rock behind it. 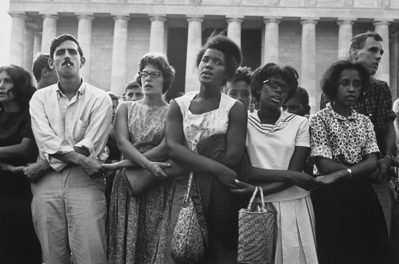 The image is so expressive of the struggle for life, and yet it is startlingly beautiful. In the gallery, each photograph has its own way of glowing on the wall. 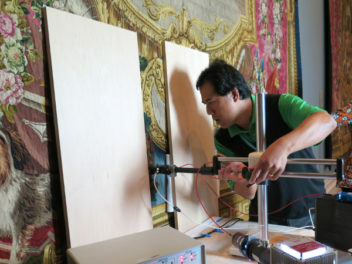 I hope you agree when you see the exhibition. Text of this post © Françoise Reynaud. All rights reserved. 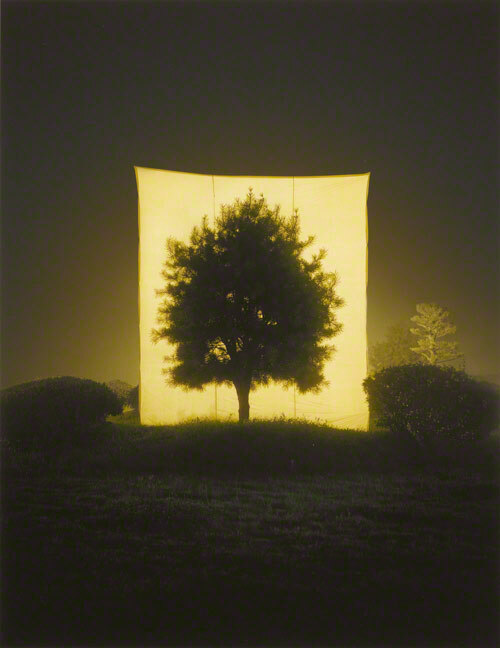 I'm curator of photographs at the Musée Carnavalet in Paris and co-curator of the exhibition In Focus: The Tree. I'm also the author of the new book The Tree in Photographs. I am so glad you have put together these photographs of trees. The different ways we view, experience, and use trees is a major theme in my photographs, too, and I wish I could see your exhibition in person.